‘ Vande Mataram ’ is well known as the National Song of our country. In this song, the two words ‘ Vande Mataram ’ have achieved major importance. These are the only words that many freedom fighters remembered while being sentenced to rigorous punishments in Court or being hanged to death. Muslim organisations have objected to this song. 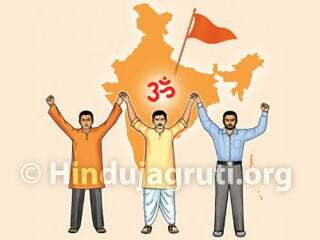 The greatness of the motherland is the essence of Hindu culture. Every ruler, right from Lord Rama to Chhatrapati Shivaji Maharaj, has had a deep sense of belonging for the Motherland. After the killing of Raavana, when Lord Rama was presented with a proposal to stay back in Lanka, His very famous reply was, “Janani Janmabhumishcha Swargaadapi Gariyasi” Lord Rama says, “My mother and motherland are dearer to me than heaven (let alone Lanka)”. There is no reason for the song ‘ Vande Mataram ’ to smell of a specific religion. Click here to read detail news…. Arrange collective singing of Vande Mataram in your societies, offices etc. Make efforts for compulsary singing of Vande Mataram in schools. Start or end every private-public program, event with Vande Mataram. 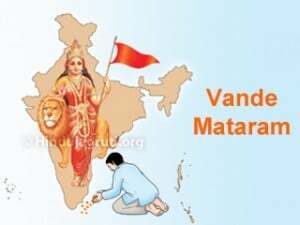 Avoid any kind of misuse of Vande Mataram. Do inform us about the opposition to Vande Mataram. Boycott the individuals, organisations who oppose Vande Mataram. Mataram’ in the context of the Muslim opposition to it. There is no reason for the song ‘Vande Mataram’ to smell of a specific religion. Which beloved son will not hold this land, which is sujala, sufala and sashya shamala, in high regard? Who will not salute the motherland who is prosperous, meritorious and bestower of riches? It the implied meaning of this song is contemplated upon, the heart gets filled with pride for this land named “Bharat”. 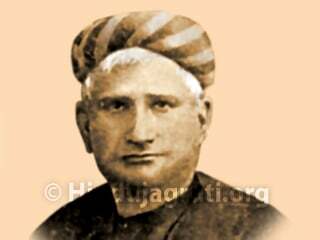 The national Mahamantra Bankimchandra wrote the song ‘Vande Mataram’ on 7th November, 1875.This lunar day was Kartik Shukla Navami! 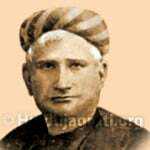 This song had been published in the novel ‘Anandmath’ by Bankimchandra. The vocabulary used in this song is influenced by Sanskrit. The said book contains information about the violent revolt of Sanyasis against injustice inflicted by Muslims and the British in Bengal in the year 1772. In the year 1905, Lord Curzon declared the division of Bengal. Whole of Bengal revolted furiously in order to revoke this division. The two words ‘Vande Mataram’ encompassed the whole of Bengal. It was these words themselves that made the English rage with anger. Curzon’s chela, i.e. the Governor of Bengal had imposed a legal ban on uttering the words ‘Vande Mataram’. This ban resulted in ‘Vande Mataram’ getting nationwide importance. It became a National Mahamantra. ‘Vande Mataram’ became the favorite word of the freedom fighters. On 6th August 1906, a daily newspaper was brought out in the name ‘Vande Mataram’. Any program related to the freedom struggle would be concluded only after saying ‘Vande Mataram’. The National Flag decided upon by Sister Nivedita at the Kolkata Congress and the one hoisted by Madam Cama at the International Communist Conference held in Germany had the words ‘Vande Mataram’ boldly encrypted on it in the Devanagari script. The sessions of the All India Congress would start with the song ‘Vande Mataram’. Utterance of the words ‘Vande Mataram’ gave freedom fighters and the common public the strength to withstand lathi blows on their heads and whiplashes on their open bodies. In 1905, the 21st session of the Congress was held at Varanasi (Benaras). During this session, the famed Bengali poetess and singer Sarladevi Chaudhurani sang the entire ‘Vande Mataram’. Nowadays, we just sing the first stanza of ‘Vande Mataram’. Many among the new generation do not even know how big it is! In the year 1937, during the meeting of the Congress Working Committee in Kolkata, it was decided to cut short this National Song, with the sole motive of appeasing Muslims. Thus began the era of misfortune of this song! The Muslims were not satisfied even then. They wanted to eliminate this song completely. On 17th March, 1938, the Chairman of the Muslim League, Barrister Jinnah raised objection to reciting the first stanza of ‘Vande Mataram’ also. In 1940, Rules and Regulations framed for the Congress members restricted them from using the adage ‘Vande Mataram’. When Muslims objected to the usage of ‘Vande Mataram’ in the working of the Constitutional Conference, they were granted permission to sing an Urdu song written by Bashir Ahmed. Likewise, they were also permitted to recite some stanzas from the Koran. In 1937 in many regions of India, Congress Ministry came to power in authority. Some may have thought that now ‘Now good days will come for ‘Vande Mataram’, but it also proved false. In the process of Muslim appeasement there was strict prohibition of singing of ‘Vande Mataram’ on All India Radio. The famous singer Master Krushnrao gave a big fight for this. He did not sing on All India Radio for many years in the pretext of ‘If there is no ‘Vande Mataram’ on radio, then there is no song of mine’. In March 1947 on account of Respected Krushnrao’s efforts, the ban on ‘Vande Mataram’ was removed. The great poet Ravindranath Tagore publicly sang this song ‘Vande Mataram’ in Calcutta in 1896. He devised his own tune for this. The ‘Kaafi’ tune framed by Pt.Vishnu Digamber Palusker gained wide publicity. The song is song in other tunes besides the ‘Kaafi’ tune. The song was first publicly sung in ‘Kaafi’ tune in Lahore through the mouth of dynamic; illustrious Pt. Palusker. The present one to be broadcasted from All India Radio is in ‘Sarang’ tune. The reason given by Pandit Jawaharlal Nehru for ‘Vande Mataram’ not to become the National song was that it would not be able to rhyme it with the band, but Respected Krushnrao Fulmbrikar proved this wrong in a scientific manner. The efforts of Krushnrao Fulmbrikar were so enormous that he earned the title of ‘Vande Mataram Krushnrao’. Shri. Amarendra Gadgil has written a book named ‘Historical story of Vande Mataram ‘. In this book it is mentioned he says’ There was no reason for the actual discussion of what should be the National song in Free India, but due to the weakness in 1937 that the Congress despised ‘Vande Mataram’ of Congress , with the same weakness further Pt. Nehru removed this patriotic song from the place of National song. In 1937 when Congress Ministry became the part of regional administration, the relation that Congress means govt. has been set in this country. Pt. Nehru after managing all the facets of democracy, till the end carried his rule uninterruptedly like an independent Emperor. (Kruschov has given him the title of ‘Democratic Dictator’!). As a result the situation that ‘whatever Congress says is the law and what Pt. Nehru says is Congress’ continued even after Nehru’s rule. The national sin of deprivation of the ‘Vande Mataram’ as National song from its lawful place has been committed because of these two, means this song only in the silly pretext of music became the victim of politics and Nehru ideology. There is strong enough evidence to believe that Nehru had pre decided about not allowing this song as the National song. Finally on 24th January 1950, that is two days before declaration of India’s Republic, the Constitution Committee put its seal on ‘Jana Gana Mana’ as the National song. Though the precedence of sacrifice of the national interest for the sake of politics, for one’s self esteem and selfish party motives started by Congress and Pt. Nehru is still continuing today, it does not mean that it is acceptable to the whole country or the further generations. 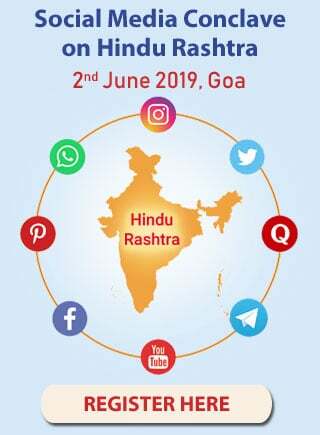 It is very mandatory for those who have affection for this history, especially the young ones of the new generations as their national duty to rethink about ‘Vande Mataram’. Although the Constitution has taken away the place of ‘Vande Mataram’, it is not impossible to restore it. 1. Hundreds of Congress workers joining the march at Barisala in order to free India from the clutches of the British with the badge of Vande Mataram pinned on their chest. 14th April 1906, a horrible day ! On that day hundreds of Congress workers under the leadership of senior and great Congress leader Surendranath Banergee, the editor of a renowned periodical Amrut Bazar Motilal Ghosh and Arvind Ghosh had assembled with a badge of Vande Mataram pinned on their chest at Barisala now in Bangladesh for a march. 2. Surendranathji with courage and dreaming about India’s becoming sujalam, suphalam uttering the word Vande Mataram so loudly, that resounded in the sky ! All around them were guards, slaves of the British, to receive the order from their British officers. Surendranathji having dreams of our country becoming sujalam suphalam, collecting his courage gave a loud cry, Vande Mataram’ which resounded in the sky. As soon as this sound reached the ears of hundreds Congress workers, all of them also commenced the march shouting, ‘Vande Mataram’ when they were attacked by the British very brutally. The magic of Vande Mataram spread far and wide; as a result Arvind Ghosh, without paying any heed to the British, started an English magazine by name ‘Vande Mataram’; whereas Bhagini Nivedita gave priority to Vande Mataram song during the morning prayer in the girls’ school, Nivedita. From 1906 to 1911 that is till the partition of Bengal, there was no opposition to this song from Hindu – Muslim communities. Both the communities fought with the British together and made them cancel the partition. Only after that some fanatics and selfish politicians came together and slowly there was opposition to this song. Shirish Bal was from Nandurbar in Maharashtra. In order to obey Gandiji’s order a small army comprising small children was marching shouting slogans like Mahatma Gandhiki Jay, Vande Mataram, which were tearing the hearts of the British. When the army reached Nadurbar Chowk, the British soldiers in readiness stopped Shrish who was leading the march and their chief scolded Shirish saying if you proceed further, then we will shoot you. Without paying any heed to this scolding Shirish kumar continued to march shouting slogans loudly. That brutal officer opened the gun and shot him; but he kept on shouting Vande Mataram till his last breath. Before that a mill worker, Babu Genu gave his life coming under the carrier – vehicle carrying foreign goods shouting similar slogans. In those days which were under spell, thousands of patriots laid their lives shouting Vande Mataram and gave freedom to our country. 4. Muslim leaders respecting the song, ‘Vande Matarm’ with great honour ! This song in the novel called ‘Anandmath’ created a wave of patriotism due to which thousands attained martyrdom; therefore we got independence in 1947. The Khilaphat movement used to commence with ‘Vand Mataram’ only. At that time well-known Muslim leaders, Mahammad Ali, Shaukat Ali, Jafar Ali used to stand up to pay respect to this song. Initially Barrister Jinha too used to give respect to this song like this; but later he changed. Mahatma Gandhi writes in 1905, today, millions of people gather together and sing Vande Mataram. I feel that the song Vande Mataram has attained the place as a National song. I find this song Holy and full of emotions. In 1936 Mahatma Gandhi writes, at the time of the partition of Bengal this song was very powerful and opposing sovereignty. 6. Congress President Maulana Mahammad Ali objecting Pandit Vishnu Digambar Paluskar well-known as ‘Samrat – Monarch’ in the world of classical music to sing Vande Mataram ! Congress President Maulana Mahammad Ali trying to stop Pandit Vishnu Digambar Paluskar, ‘Samrat’ in the world of classical music, from singing this immortal and supreme song in the Congress Convention held at Kakinad in 1923. Despite this objection he continued the song and stopped only after completing it. He did not forget to shout the slogan, Vande Mataram. Why these fanatics object to such a song which played a very remarkable role in making the country independent ? Why are they so narrow minded ? 7. Central Minister Arjunsingh satisfying his own selfish motive in this storm created by fanatics opposing Vande Mataram ! What other shocking thing could there be like having all the facilities and keeping himself aloof from freedom struggle Central Minister Arjunsingh satisfying his own selfish motive in this storm created by fanatic Muslims opposing Vande Mataram ? 8. Popular National Song having the 2nd rank in the world ! National Song, “Vande Mataram’ completed 133 years, yet has maintained its 2nd rank of being the popular song in the whole world. BBC in its survey of finding the popular song in connection with 155 countries on the internet, announced that the song ‘A nations once again’ of Ireland is on the 1st rank. Late Bankimchandra Chattopadhyay, the composer of the song, ‘Vande Mataram’ had predicted 100 years ago that, every Indian will sing this song as Ved Mantra. The popularity of this song will never be reduced even if it is being opposed severely. This prophesy of Bankimchandra has been proved so true. 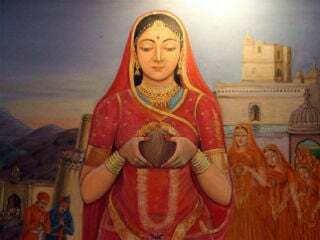 Jauhar : Where death was preferred to a life of slavery !